Statoil has awarded Kvaerner the contract for complete upgrade of the Njord A platform. The contract has an estimated value of around NOK 5 billion and will amount to about 3,000 man-years. “This is one of the most important contracts in the market this year. We are proud of the confidence Statoil is showing us by awarding Kvaerner the contract to upgrade Njord A for future decades of production,” says Jan Arve Haugan, President & CEO of Kvaerner. After a few years of adaptions, the Norwegian oil- and gas industry has already started to demonstrate considerable cost reductions combined with increased productivity. Haugan believes the award is a result of a higher degree of cooperation between the oil companies and suppliers for improvements. “We notice that the efforts to strengthen competiveness are yielding results. Costs have been substantially reduced, which in turn has contributed to make investments decisions like this possible. This is gratifying not only for the license partners and Kvaerner, but for an entire industry working hard to ensure that the oil and gas sector continues to contribute to value creation, and at the same focusing attention on health, safety and environment,” says Haugan. “The Njord partners have reached a very important milestone in the work to upgrade the Njord A platform for further production. I am very pleased that we today can sign the contract with Kvaerner at Stord. The work represents considerable ripple effects nationally and regionally,” says Senior Vice President for Project Development in Statoil, Torger Rød. “This contract shows that adaptions of a joint Norwegian oil industry over the last years are resulting in new activity and employment. The work that now will be executed is important for the platform to resume secure and efficient operations at the field and become a centre for tie-ins of new fields in the future,” says Rød. The new contract was initiated when Statoil and Kvaerner 1 April 2016 signed a framework agreement for upgrading of the platform. The frame agreement is based on a project execution plan where Statoil, on behalf of the license partners, has an option to call-off the execution of further phases. Kvaerner has since signing of the frame agreement been awarded options for front-end engineering and design (FEED), yard stay at Kvaerner’s Stord yard and a so-called pre-EPC phase with a total value of NOK 500 million. With this latest award, Statoil declares the main option in the agreement from April last year. The contract includes a complete upgrade of hull and topside, a project enabling Njord to produce oil and gas in decades to come. “We are inspired by the fact that Statoil is satisfied with the work we have completed on Njord so far. The contract demonstrates trust in our ability to execute and deliver complex projects predictable, to the agreed quality and schedule,” says project director Jarle Henriksrud. Njord Future, which is the name of the project, is pioneering work in the sense that this is a production platform on the Norwegian Continental Shelf taken ashore for upgrading after being in operation since 1997. “Although we know the Njord platform well from the time when we constructed it, this is an untypical project, as it is an upgrade job involving removal of old equipment and materials in parallel with fabricating and installing new ones. Kvaerner has extensive experience in executing both new build- and decommissioning projects. This is expertise we expect to utilise to the fullest in this project,” says Haugan. The project will comprise around 3,000 man-years, mainly in Kvaerner and Aker Solutions, being responsible for engineering. The project is an important contributor to further development of important platform competence, not least for Kvaerner's specialised yard at Stord and at Aker Solutions’ office in Bergen. 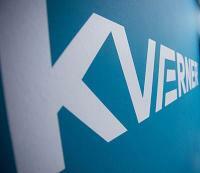 “Kvaerner’s skills for executing challenging platform projects are quite unique internationally. With Njord, we have the opportunity to further develop this expertise. It contributes to continuity and gives us the opportunity to maintain expertise that is of great importance to the Norwegian oil- and gas industry. Among other factors, this project and the work we are executing for Johan Sverdrup, enables us to offer apprenticeships,” says Haugan. The main project activities will take place at Kvaerner at Stord and Aker Solutions in Bergen. “We expect a very high percentage of Norwegian value creation in the project, probably more than 95%. With exception of some procurement, this is likely to be a complete Norwegian project, with high activity in Hordaland and other parts of Western Norway which have been hit by the downturn in the oil industry over the last years,” says Haugan. The Njord platform is scheduled to be delivered in the spring of 2020. Kvaerner also has an option for the offshore hook-up when Njord A is back on the field. Njord A was originally delivered in September 1997. The topside was fabricated at what today is Kvaerner at Stord, while the hull was fabricated at today's Kvaerner in Verdal.